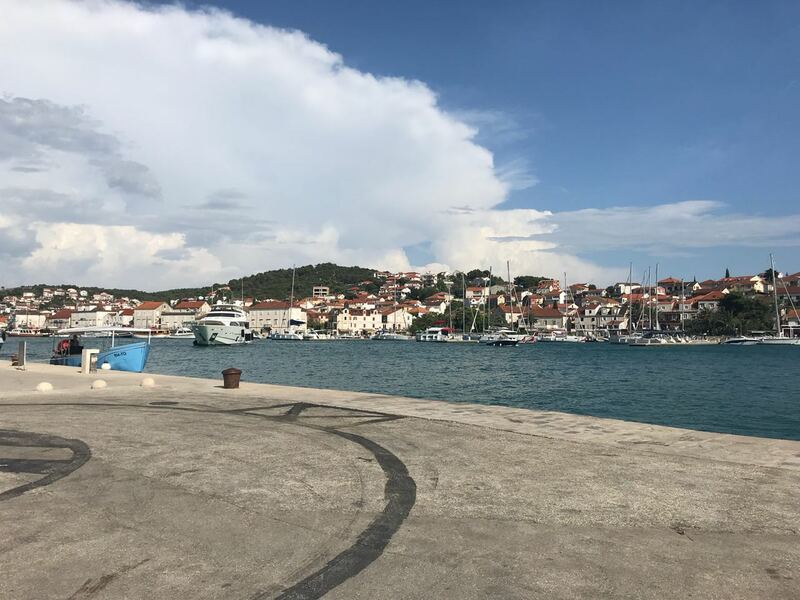 We embarked on our day trip to Hvar today, also known as the sunniest town of Croatia. However, it was mostly cloudy, with drizzling at times, when we reached Hvar. 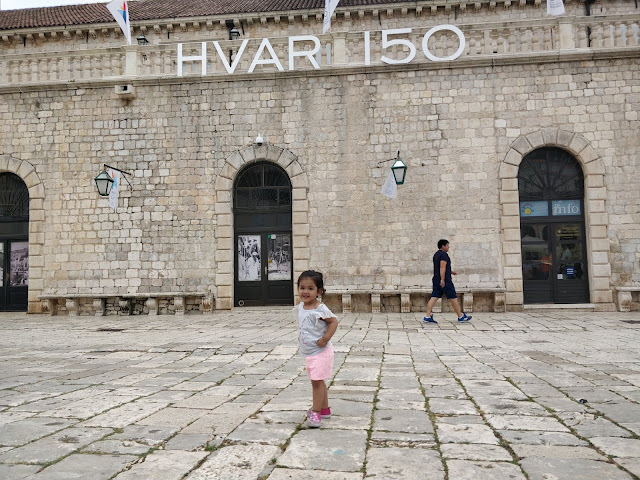 It took us 1 hour to reach Hvar from Split by Krilo Catamaran (a ferry for short duration trips). While the town boasts of rich historical heritage on one side, it has a fabulous beach to relax on the other. We were thinking to book a tour to Blue Caves today (about an hour away from Hvar via speed boat), but due to weather issues the tour was cancelled. 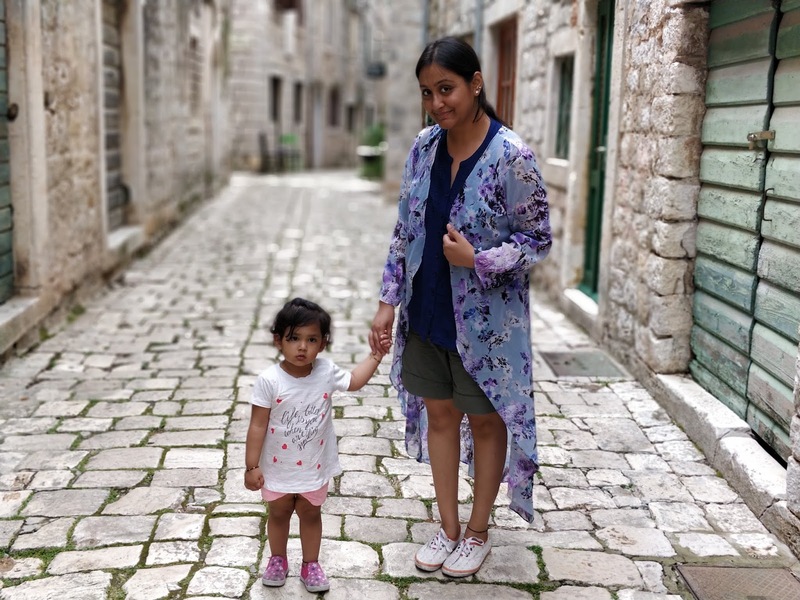 So we decided to go to Stari Grad, one of the oldest towns of Croatia and a UNESCO protected heritage site. 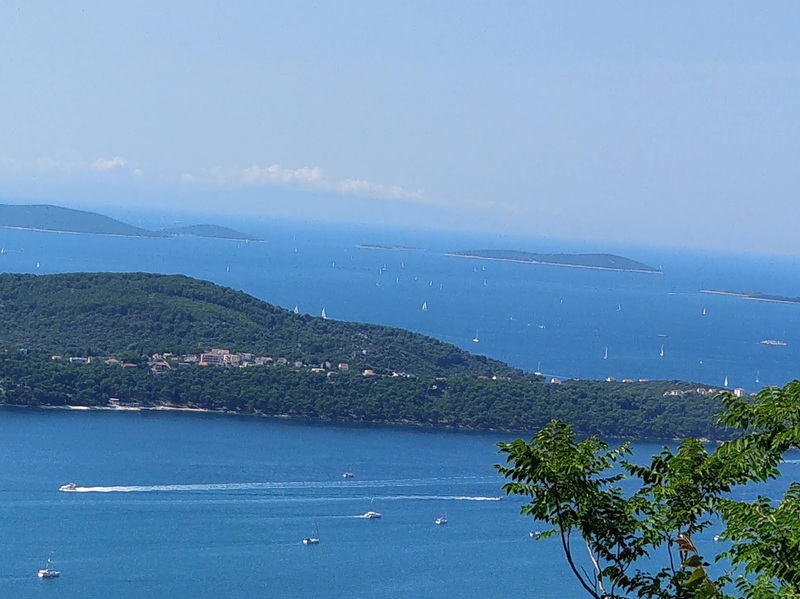 Buses depart at regular intervals and it takes about 45 minutes to reach this place from Hvar. On reaching the town, we decided to stroll through its narrow streets, stone walls and traditionally built houses. The place was less crowded, calm and quiet, away from the hustle and bustle of a big city and had its own charm. There were open bars and cafes near the riva where we grabbed a quick bite before leaving for Hvar again in the afternoon. 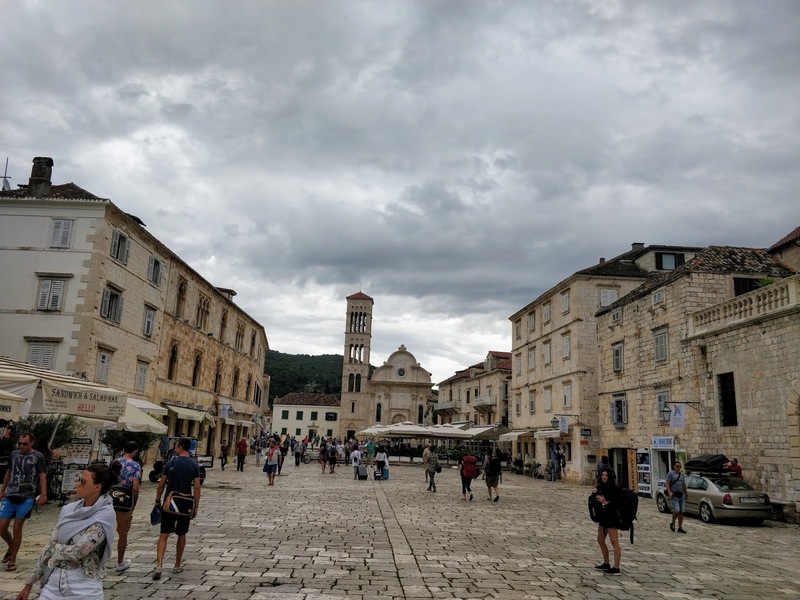 Now we explored the Hvar town and had snacks at the main square near the cathedral of St Stephen’s. There is also a hilltop fortress called Fortica from where you can have a good view of this city. It takes about 30 minutes to climb there. 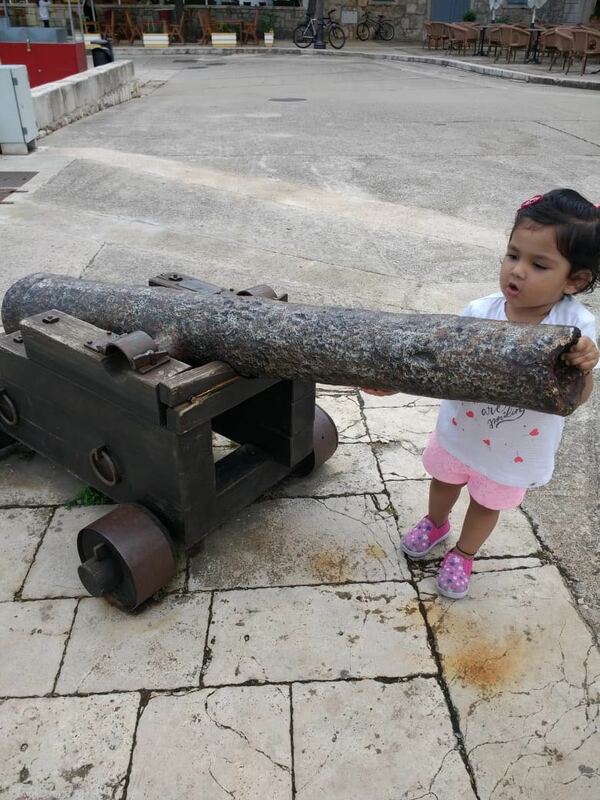 But with my toddler I thought it would be a tough task, so we preferred to enjoy our stroll alongside the beach. In the evening, we boarded a catamaran and went back to Split. Croatia is also known for its 2 prominent national parks – Plitvice and Krka National Park. Both these national parks are famous for their numerous waterfalls. While Plitvice is the biggest national park and is about 3 hours from Split, Krka takes 1.5 hours. 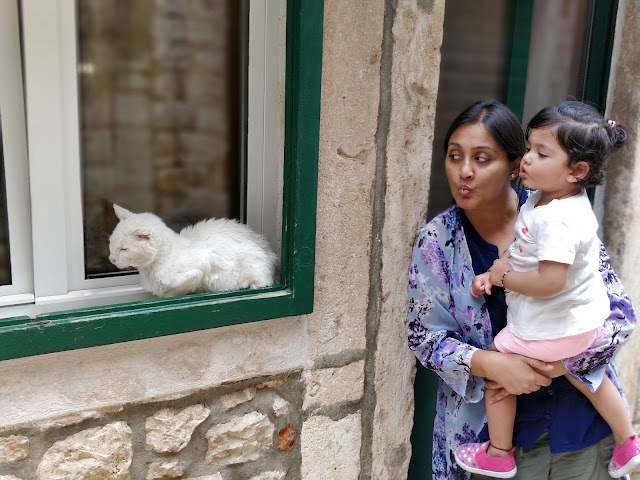 We decided to skip Plitvice as it involved a lot of travel time and with an infant we did not prefer to rush things up (my advice is to stay in Plitvice, if possible, to enjoy the beautiful place and save travel time). 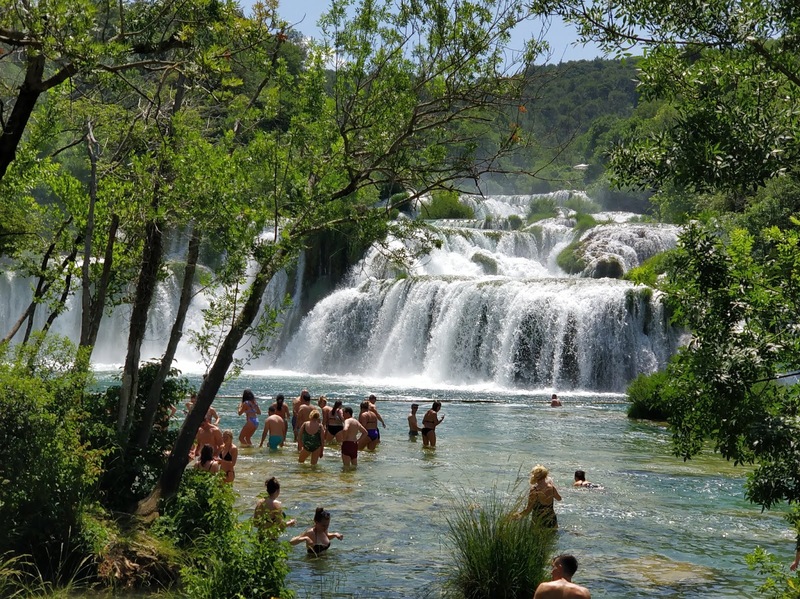 Krka National Park is divided into 3 parts – Skrandinski Buk, Visovacisland and Roskislap waterfall. You would be requiring a whole day if you want to visit all the 3 parts. Due to lack of time, we decided to go to Skrandinski Buk only. The entry fee of this park varies 3 times in a year on account of the number of tourists visiting. In June it was 110 Kunas per person. There are 2 entry gates when you reach Krka – Lozovac gate (the most commonly used) and theSkradin gate. We entered through Lozovac gate where a bus drops you at a point from where we had to trek along the wooden type paths to reach Skrandinksi Buk. The path is easily walkable and we even took our stroller so that my daughter can enjoy the park comfortably. 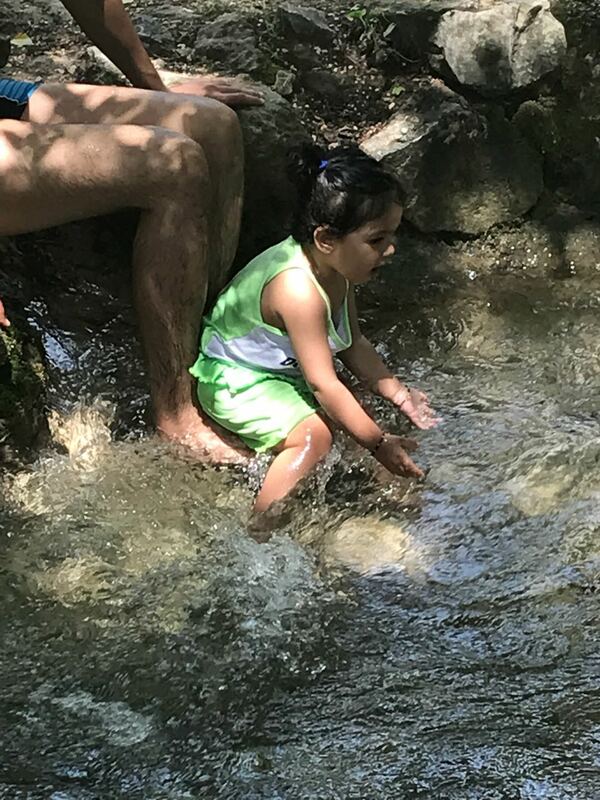 On the way you can see turquoise water with small fishes, mini waterfalls flowing through rocks, making you feel that you are up for something special. 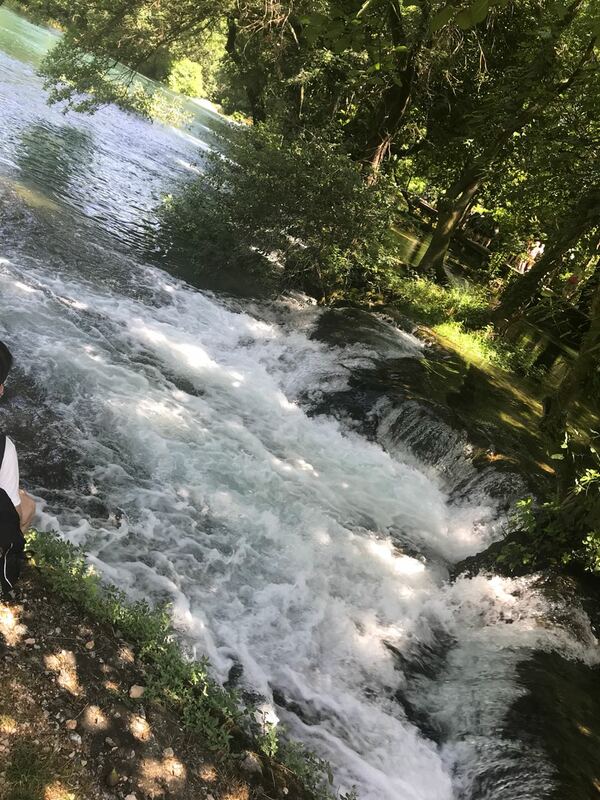 After 30 minutes we reached our destination and words cannot describe how beautiful were the waterfalls looking. After finding a good spot for base, we decided to quickly change and take a dip in the water. My advice is to just be careful with the rocks in the initial stages as it can get very slippery. After spending 15-20 minutes, we decided to go to the Skradin via a ferry (you don’t need to pay as it’s already included in the ticket). Again you will enjoy stunning views during the 20 minute journey. On reaching Skradin, there were numerous cafes and restaurants facing the lake and we halted for our lunch in one of them. As we were vegetarians, all we could had was Pasta, Pizza and Rissoto. In the afternoon, we headed to Sibenik which was 15 minutes’ drive from Krka. We visited the most important landmark of the town – St. James Cathedral. It is made completely from stone and is listed as a UNESCO Heritage site. There is a fee of 20 Kunas to enter the church. We then proceeded to Trogir, another UNESCO heritage site, and the most popular town on the outskirts of Split. 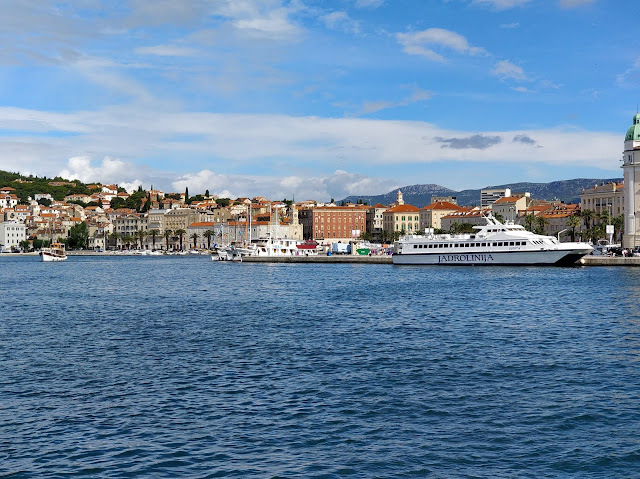 Due to its proximity to Split, many travellers choose to stay in this town to avoid the crowd in Split. 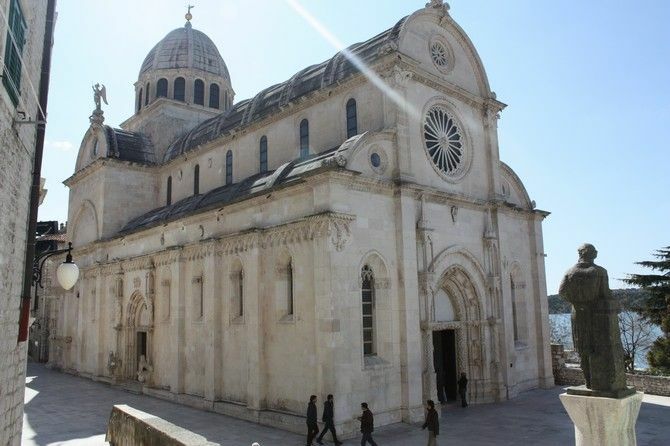 The most important landmark of Trogir is St Lawrence Cathedral, a beautiful Romanesque church. As with many other Croatian cities, Trogir too has a riva where we strolled and relaxed on the benches facing the waterfront. After spending some time in this town, we headed back to Split. Croatia is a hidden gem for me which I will cherish for a very long time. It has all the ingredients of becoming a top tourist destination as it offers something for all kinds of age groups. I am sure I will visit this place again as it has so much to offer which I could not cover during this visit.